Have you ever wanted your respondents to take a picture and send it to you, or submit their reply in a video format? Ask you survey respondents to upload pictures or videos from their mobile phones to get a real-time look into their experiences. Take resumes from respondents if you are creating a job application form. Create forms where respondents must submit a written proposal to be considered. 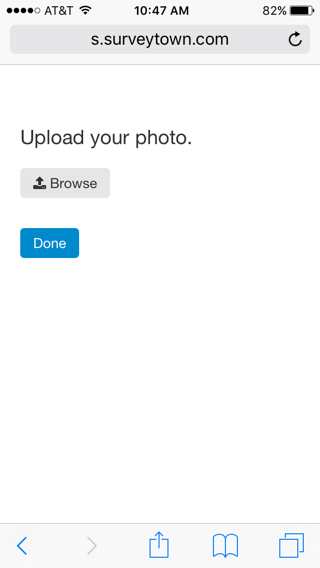 If viewed on a mobile device, the file upload question will allow customer to upload pictures or videos from their phone. 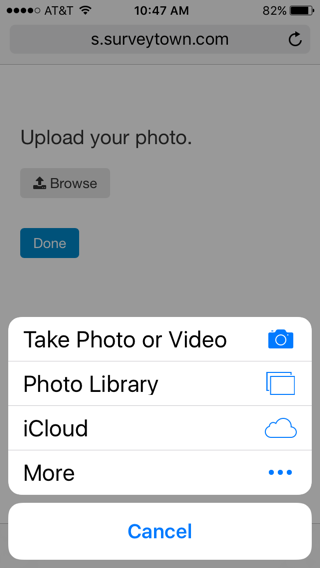 The File Upload question type comes with a few options. Also if you wanted to only allow say Microsoft Word documents, you could remove all the extensions and add back in "doc,docx" to just allow those types of files. 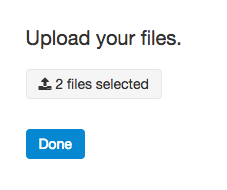 You can choose to allow user to upload more than one file or limit the response to just one file. NOTE: There is a file size upload limit of 10MB per file. Once your respondents have uploaded their files, they can be found in the reports in the following areas. NOTE: We will keep your respondents uploaded files for 12 months after which they will be deleted from our servers. The individual files can be downloaded by viewing individual responses. Go to "Responses" tab on then click on the "View icon. Then, the uploads will be seen there. All of the uploads are available also via a "Export Files" button at the top right of the screen. The mapping of response to file is contained in the "Export CSV" file. File Upload question type is a great way to collect "unstructured" data from your respondents including pictures, resumes or portfolios. We keep the data for you and you can download it at anytime.